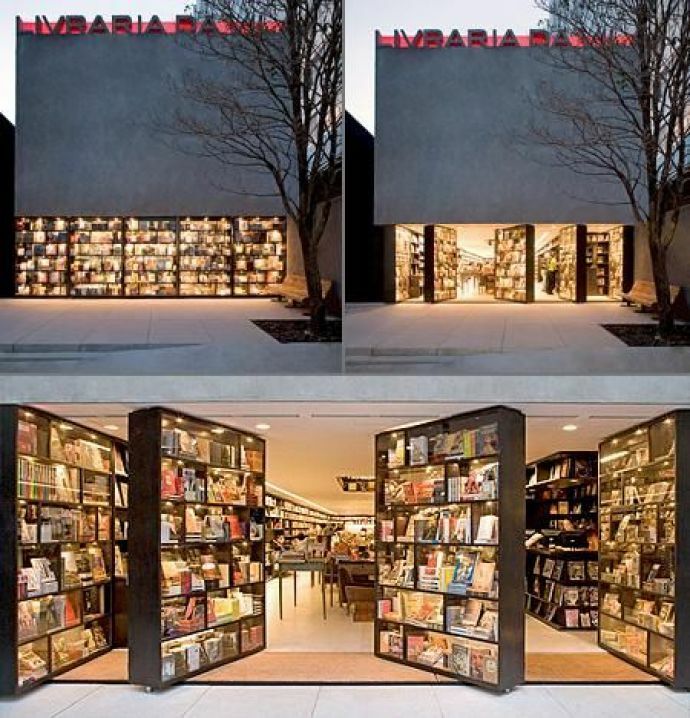 7 Most Magnificent Book Stores That Every Bibliophile Must Visit! From Faulkner's House to the bookstore that was Hogwarts' inspiration! Ever dreamt of a four-floor bookstore with rainbow wrapping around and embracing you in the form of books? 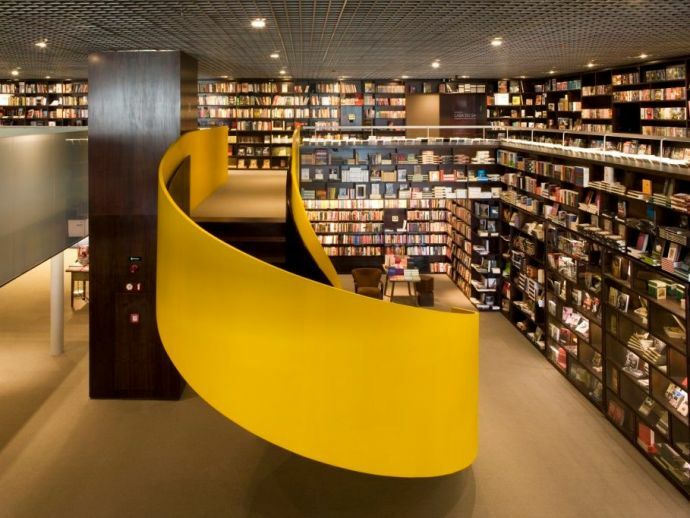 This bookstore at Rio de Janeiro is a dream come true! 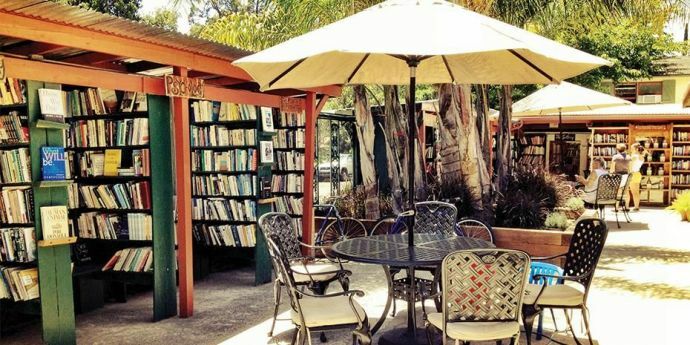 Bart Books is the world’s greatest independently owned and operated outdoor bookstore. The shelves along the sidewalks are for people to browse the books and the coffee cans on the book cases are for people to drop off the money while buying the book. More than one million books are tucked in every nook and corner of the open store. Being one of the most original libraries in the world, this bookshop in Venice is a mix between a flea market and a serious library. 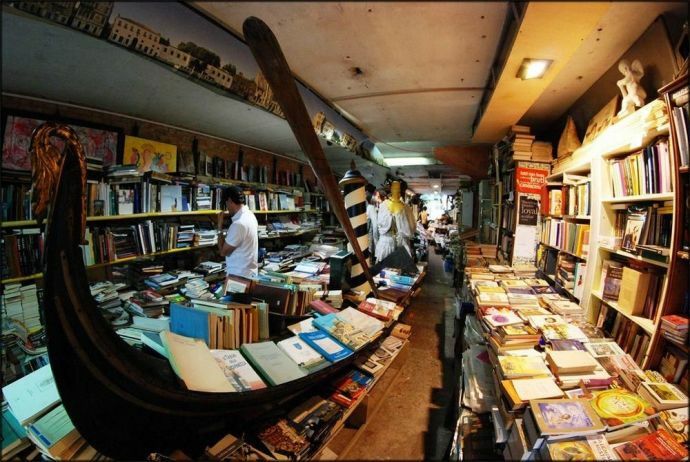 To save the books from the annual floods, they’re shelved in boats, bathtubs, gondolas, tanks and canoes. With book shelves that rotate and form front doors of the bookstore, a large circular hole in the ceiling filled with books, the store lined up with books from floor to ceiling, the basement filled up with books, what else would one ask for? 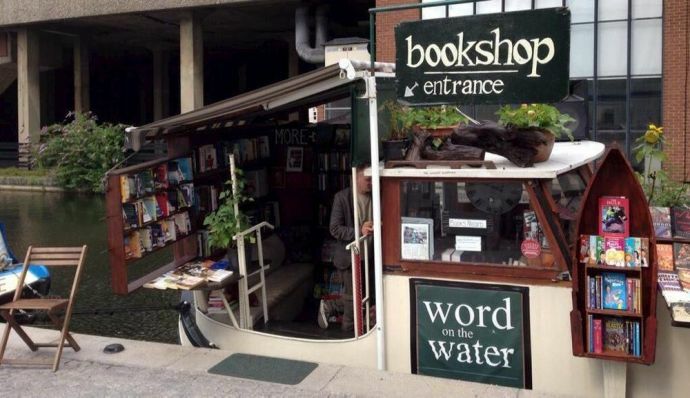 This independent bookshop on British waterways in London is every book-lover’s and boat-lover’s dream! 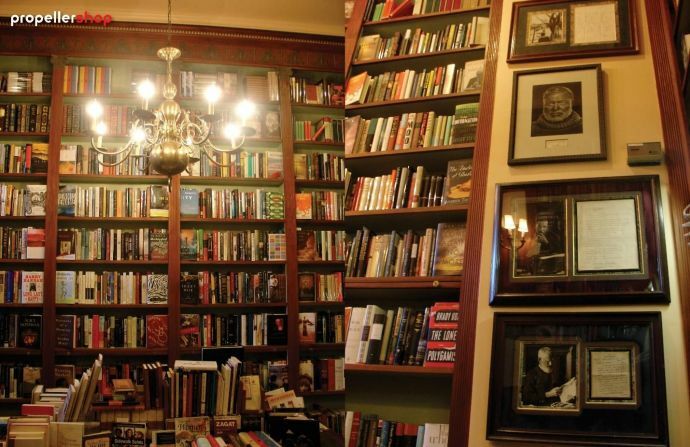 The only floating book shop in London, it offers careful collection of books from the bestseller’s list. William Faulkner once inhabited this apartment for 6 months, when he began writing his first novel. Since then, its owners transformed it into a bookstore with limited first editions, rare collections of classics, rare publications and books by and about Faulkner. 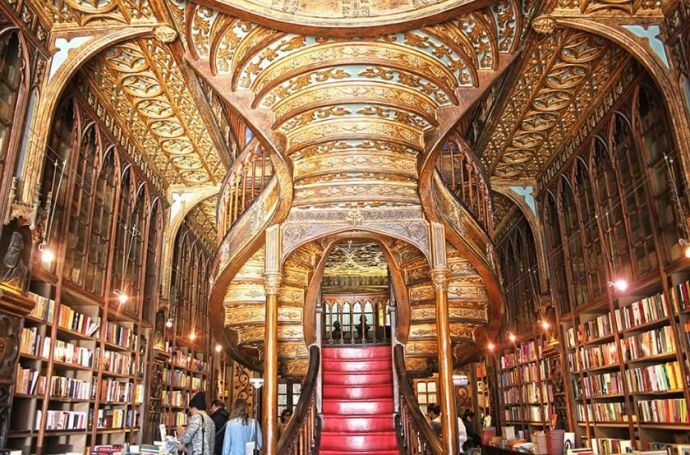 The ornate bookshelves, extraordinary stairs, carved ceilings and a history of more than 110 years, this book store in Porto is considered the third most beautiful library in the world. It is said that J.K. Rowling drew inspiration by this bookstore for Harry Potter including the staircase in Hogwarts. Which one did you include in your bucketlist?